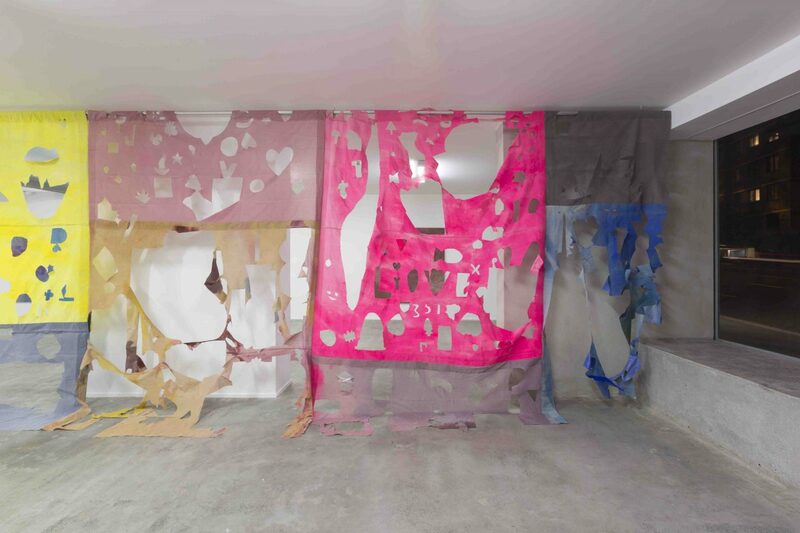 In ‘This is not a love song’ Merrett allowed the viewer to interact with her physical interrogations into the relationship between painting and its surrounding architecture, resulting in a changed and manipulated work kept separate from the artists control. 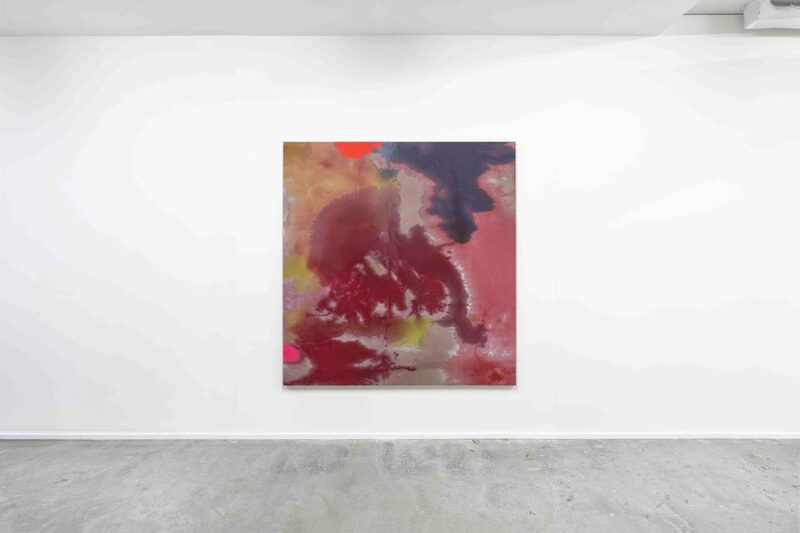 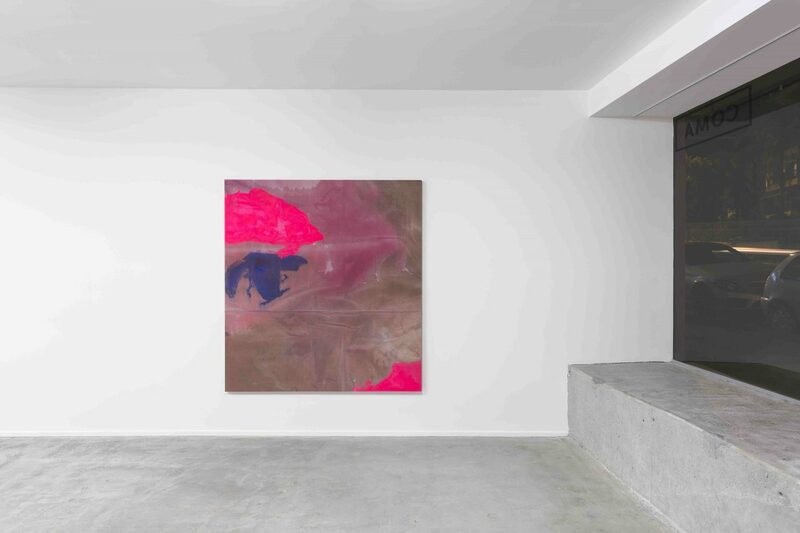 Through this new body of work with COMA the analysis and study of the audience reaction has resulted in a selection of large wall based pieces that continue to draw upon principles of abstraction and a colourist practice. 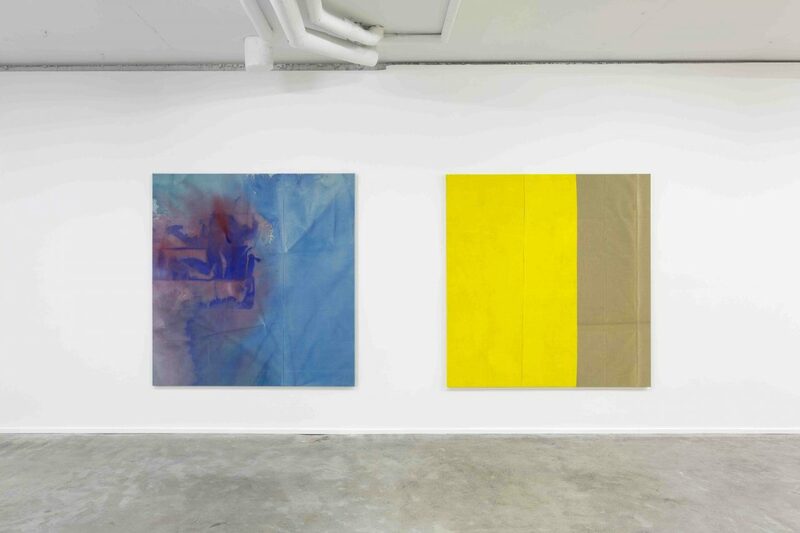 With an increased focus on the acknowledgement of how physical interactions with an artwork and interaction with it’s texture can cultivate strong emotions, emotions born similar to those born from simply seeing, these works are a proposition of a new perspective. 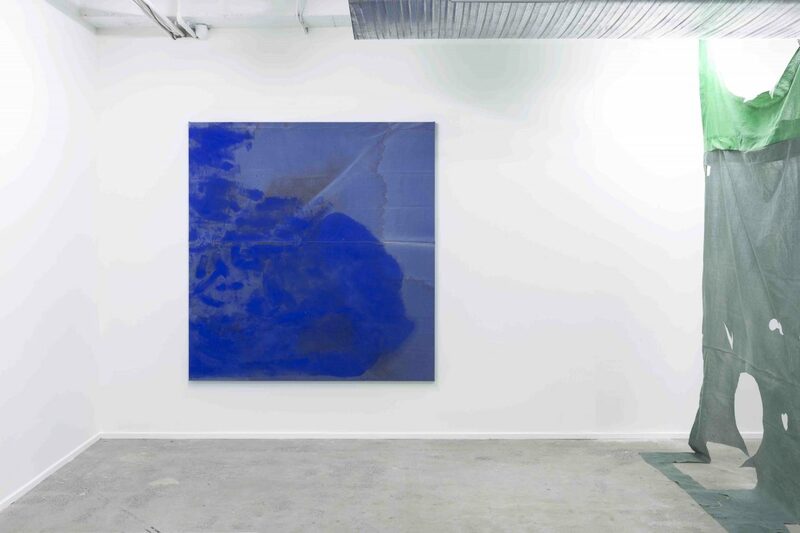 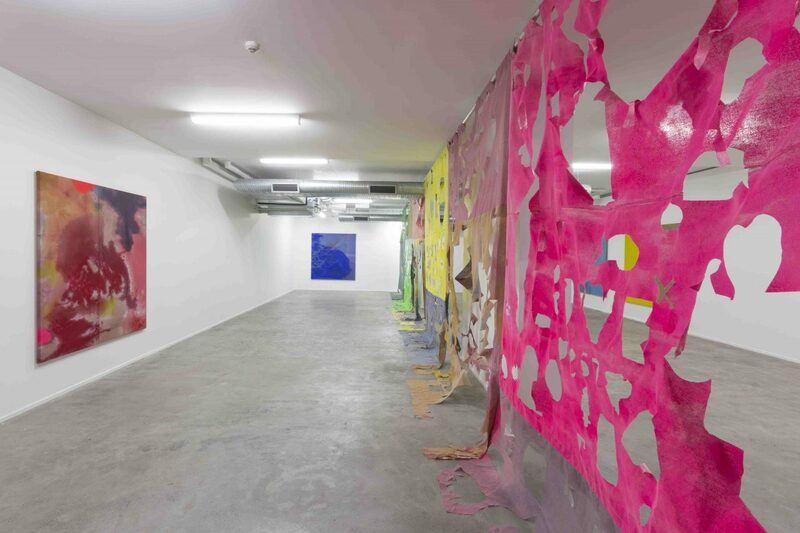 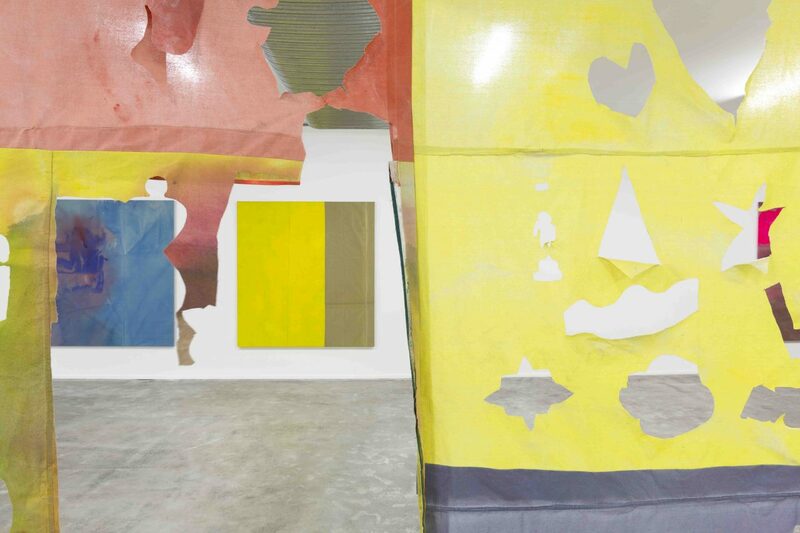 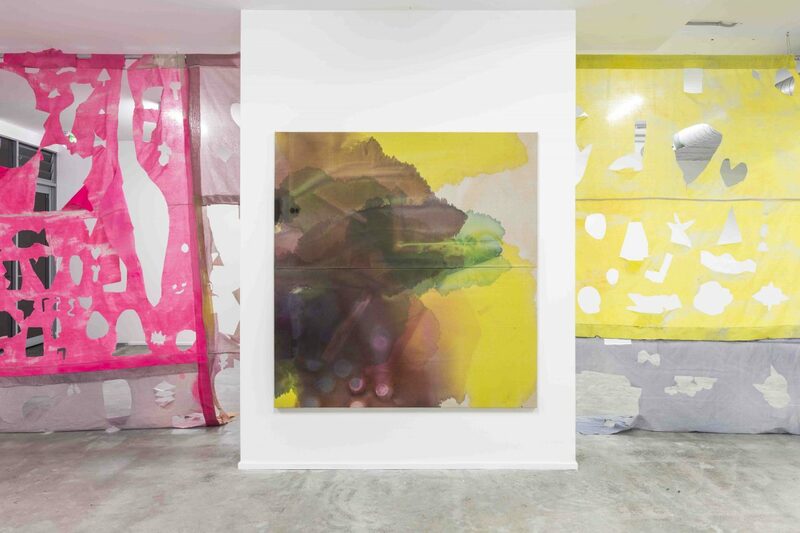 Lara Merrett ‘High-Rise’ Installation view at COMA Gallery, Sydney, 2018.